Highly elastic resin is used for excellent transparency, making it possible to easily confirm the contents. No elongation due to warp reinforcement observed under pressure. Excels in cold resistance, heat resistance, and chemical resistance. Water supply and draining for equipment, machinery, factories, and air piping. 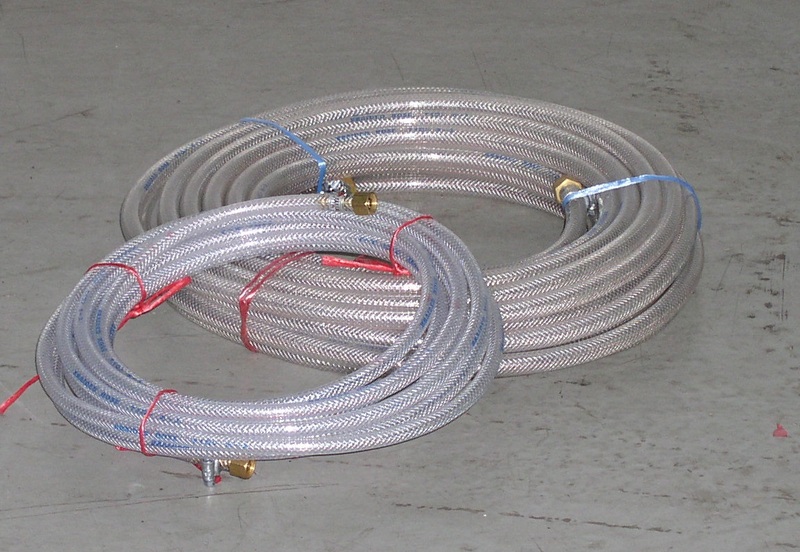 For piping and draining of pneumatic / air conditioning equipment. For washing of ships, vehicles, etc. For conveying of powder, grain, chemicals, etc. Water supply for civil engineering and construction sites.